The archaeological site of Sanisera is located on the northern coast of Menorca, three kilometres south of the Cape of Cavalleria, in the port of Sanitja and within the territory of Santa Teresa. 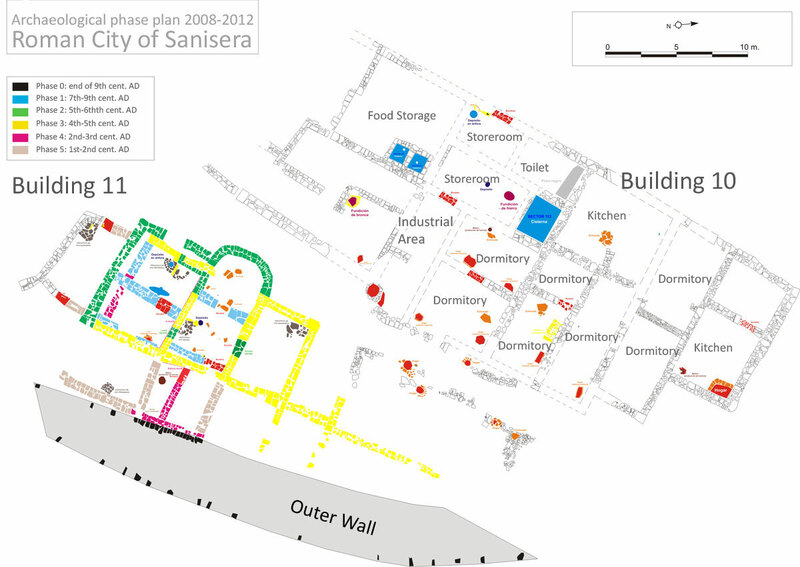 Ongoing archaeological excavations have shown that Roman Sanisera was occupied in the Late Republican period and throughout the Early Empire period. Its population prospered from the 4th century AD and especially during the Vandal occupation and beginning of Byzantine rule. Later, from the 7th century AD Sanisera gradually decayed until it became de-populated around the beginning of the 9th century AD. :In the early Eighties excavations were carried out in the central part of the city and during this time, several burials and the remains of an Early Christian basilica were found. In the mid nineties several systematic surveys identified six necropolii containing cist tombs, which surround the perimeter of the city and may date from between the 4th to the 6th centuries AD. The most recent excavations took place between 2008 and 2012 in an area to the west of the Port of Sanitja and very close to the shoreline, successfully locating two previously unknown buildings (10 & 11). Building 10 is a rectilinear structure with a total floor space of approximately 600 m². It is made up of 18 rooms, including two kitchens (with a preserved hearth and in situ millstone as well as three cisterns), a metal foundry (with a small circular furnace and several pits), bedrooms (with small corner hearths) and even a latrine. This building seems to have been built and occupied during the Late Empire period as an extension of the urban planning of Sanisera towards its northern limits. 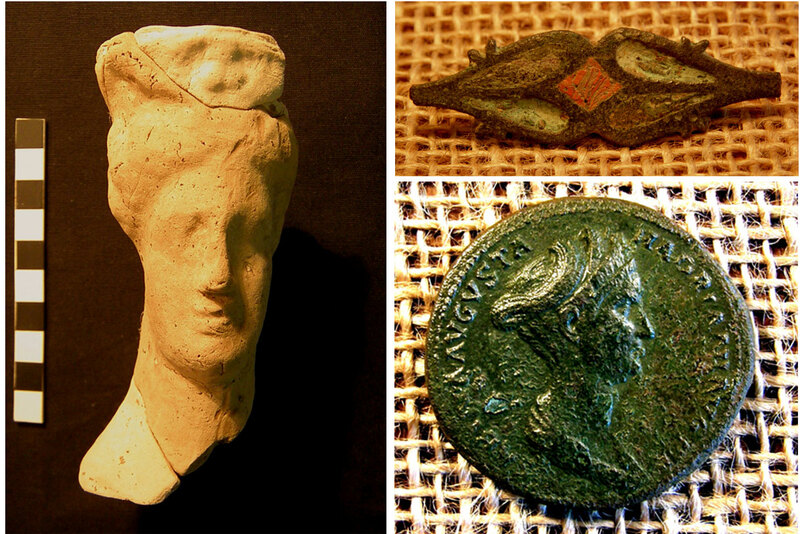 Some interesting finds from the land levelling layer includes a Punic-Ebussitan incense burner which represents the goddess Tanit and from the latest period of occupation, Islamic green glaze ceramics and two silver coins (dírhams) dating to 812 and 825. The second structure (Building 11), located at the south eastern portion of the excavated area has a semicircular apse on its western end, giving it a basilica like layout. Both the stratigraphic sequence along with the artefacts found within the structure shows an occupation span very similar to that of Building 10. However, it appears that this structure, unlike Building 10, has been remodelled six times over several centuries and has had various uses. The phases that have been analysed in depth are its last three; those dating from the middle of the 3rd century AD until the end of the port of Sanitja’s occupation in the 9th century AD. In its fourth phase in the Late Empire period (middle of the 3rd century AD and during most of the 4th century AD) this structure seems to have functioned as a house and had incorporated part of the earlier walls into its design. 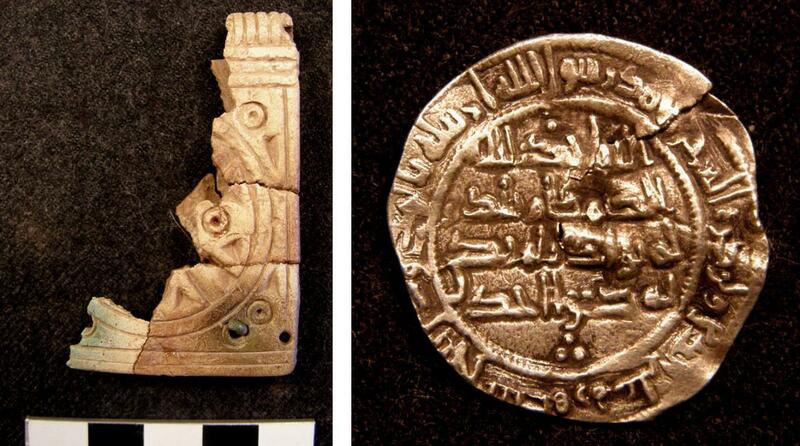 In its final pre- Islamic phase as the city was losing its importance (between the early 7th until 9th century AD) it also functioned as a dwelling. However, it is its penultimate phase that is the most interesting. The building undertook a major transformation during Sanitja’s period of prosperity (during the Vandal occupation and beginning of Byzantine rule in Menorca) and took on a basilical layout. The stratigraphic sequence revealed pottery and 32 Vandal coins, all of which helped establish occupation from the mid 5th to mid 6th century AD. Its re-modelling involved the construction of some new walls and blocking up of old entrances. 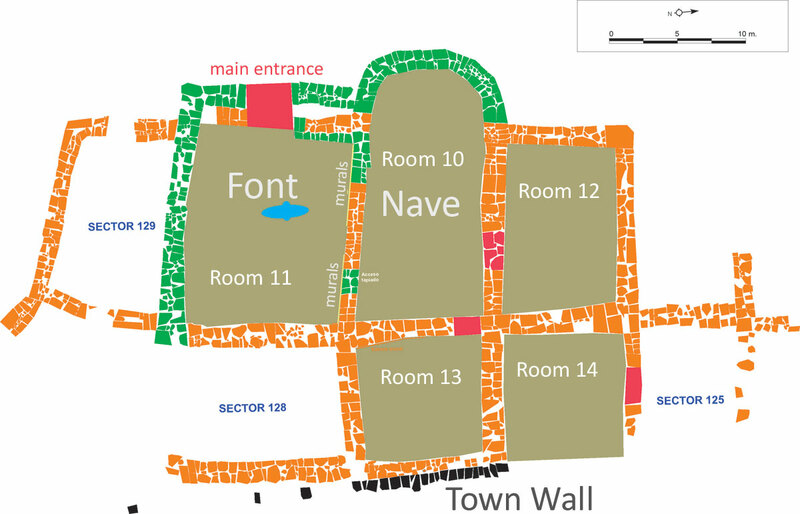 However, it also incorporated parts of the pre-existing structure and was transformed into a basilica composed of five separate rooms which related to a flagstone paved central nave and an apse at the west end (Room 10), two side naves that shared similar dimensions (Rooms11&12) and two other spaces (Rooms 13&14) to the east. The usual layout for a Christian basilica places the apse at the eastern end, but more unusually this one is on the west. However, there are many examples that do not follow the standard model, including the Spanish basilicas of Begastri, San Vicente Martir (Córdoba) or Marialba (Léon), all of them following a north-south orientation. Room 11 of the basilica contains some interesting features which indicate that it performed a special function. Its entrance way is monumental (the largest in the whole building) and is made up of large squared sandstone blocks of a higher quality than anywhere else in the structure. The wall on its northern side contains painted wall plaster in red and yellow ochre hues and along with further evidence of paint work in Room 13, this is the only decoration that has been found. 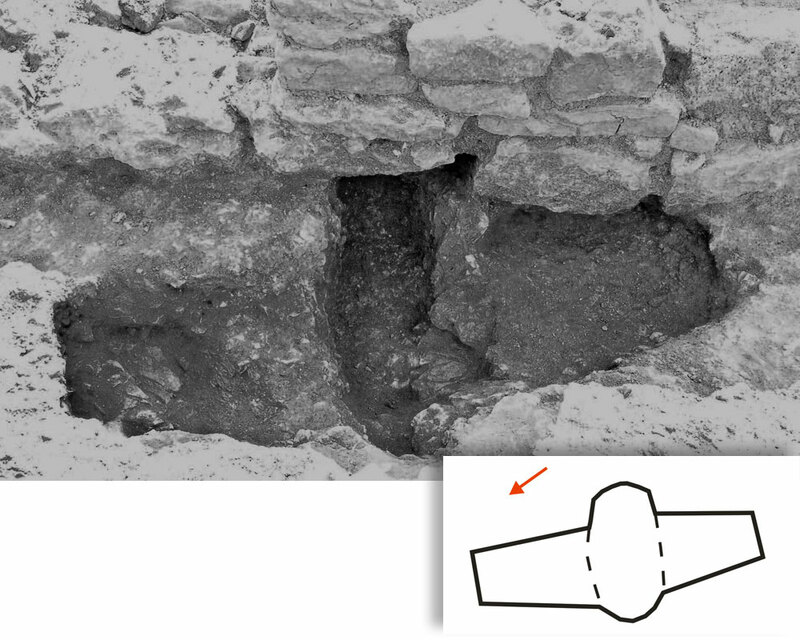 The third important feature of this room is a centrally located rectangular pit that follows a north-south orientation and is crossed by a second shorter pit oriented east-west. This feature is considered to be the baptismal font. The initial hypothesis is that both buildings belonged to the same ecclesiastical complex and consisted of a building for religious worship along with an associated ecclesiastical community house and pilgrim’s refuge. It is also thought that there is a connection with the funerary complex (Necropolis 04), located just 65 metres to the west, but outside the city limits. In 2012 excavations began at this site and so far a total of 15 tombs have been studied, all of them containing an average of 4 – 5 individuals. 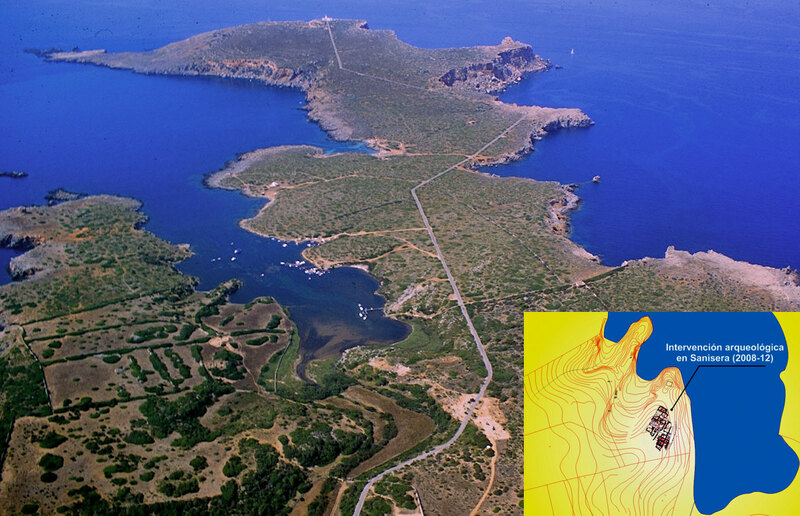 The Early Christian basilica that was excavated in the eighties and the six Late Roman necropolii which surround the port city are also interesting elements that highlight the “sacred” nature of Sanitja in times when pilgrimage routes could have existed to the island of Menorca. Ecclesiastical complexes proliferated in different areas of the Mediterranean between the 5th and 6th centuries AD, and many of them show clear similarities to the one at the port of Sanitja. After the Fall of Rome the church was becoming increasingly powerful and pilgrimage started to play an important function in Early Christian life. ALCAIDE, S. 2011: Arquitectura Cristiana Balear en la Antigüedad Tardía (Tesis Doctoral). Institut Català d’Arqueologia Clàssica. Universitat Rovira i Virgili. Tarragona. ALONSO, A.1983: “Las Estancias Absidiadas en las Villae Romanas de Extremadura”, Nora: Revista de arte, geografía e historia, 4, 199-206. CASANOVAS, M. A. 2005: Historia de Menorca. Palma de Mallorca. CABALLERO, L.; ULBERT, T.1975: La Basílica Paleocristiana de Casa Herrera en las cercanías de Mérida (Badajoz), Madrid. CHAVARRÍA, A. 2007: El final de las Villae en Hispania. (Siglos IV-VII d.C.), Bibliothèque de l’Antiquité Tardive, Turnhout. MAROT, T. 1997: “Aproximación a la circulación monetaria en la península ibérica y las islas baleares durante los siglos V y VI: la incidencia de las emisiones vándalas y bizantinas”, Revue Numismatique, Volumen 6, Número 152, 157 – 190. SÁNCHEZ, I. 2009: “Arquitectura sacra de época tardía en Hispalis. Algunas reflexiones”, Archivo Español de Arqueología, Vol. 28, 255-274. VIZCAÍNO, J. 2009: La Presencia Bizantina en Hispania (Siglos VI-VII). La Documentación Arqueológica, Murcia.